On July 5, 2018, Exotrail was selected by iLab, along with 13 other companies, as a Grand Prix award winner from more than 350 entrants in the iLab contest. Along with the honor of receiving this prestigious award, a substantial public funding will be granted to Exotrail from BPI France, as part of the iLab contest. The amount will be released in the next few days. Exotrail has a vision of a new economy in Space that will improve and empower the quality of life for all mankind and the company anticipates that the next five years will bring massive and disruptive change in the “New Space” industry. The firm's future rests in “Agile Space,” a concept of using “Agility” in how the firm designs, produces and sells their products. “Agility” will be used to improve smallsat constellation services by providing access to new orbits as well as to spark a new world of affordable on orbit servicing of spacecrafts that will revolutionize telecommunication, Earth Observation (EO), science, and space exploration. Exotrail’s bouquet of services and solutions for smallsat operators will provide a unique opportunity for affordable access to Earth orbits. 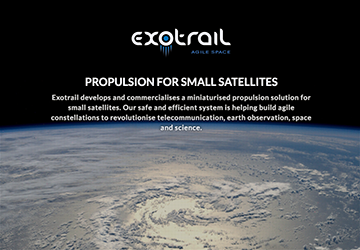 Exotrail's core product is a miniaturized propulsion solution for smallsats that uses Hall Effect Technology to provide a dramatically higher thrust than competing products, all the while maintaining high fuel efficiency. The iLab contest recognizes the best new start-ups (created less than 18 months ago) in France. Out of more than 383 candidates, 64 startups were awarded laureates and 14 were selected as “Grand Prix” award winners. Specifically, Exotrail was selected as the “a Space Ambition for Europe” Grand Prix winner. 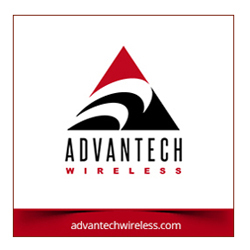 Exotrail’s CEO, David Henri, said that the company is pleased to have won this extremely competitive prize. iLab will help us to demonstrate the Exotrail propulsion system in space next year and will also allow the firm to accelerate an ambitious employment plan. The prize was awarded to Henri by Mrs Frédérique Vidal, the French Minister of Higher Education, Research and Innovation at a ceremony in La Cité des Sciences, Paris. This recognition is the result of an intensive two-year development plan by Exotrail’s co-founders and engineers with the help of their partners: SATT Paris-Saclay, CNRS, the Synchrotron Soleil, the Versailles Saint-Quentin University (UVSQ) and the Ecole polytechnique. These partners were the first to back the project and the Exotrail team and were instrumental in funding and supporting the technical development, allowing Exotrail’s team to move from a simple proof of concept to a fully integrated Hall Effect propulsion system. Jean-Loïc Galle, CEO of Thales Alenia Space, has accepted Exotrail’s offer to become the firm's mentor and help the company in go-to-market acceleration. He said he was pleased to become Exotrail’s mentor and to contribute to accelerate the project’s technical and commercial phases. This is a clear demonstration of Thales Alenia Space’s attractiveness as a key partner for startups to bring disruptive and competitive solutions to the market. Thales Alenia Space's open innovation approach and proven track-record in satellite constellations have the potential to stimulate concrete results in this project. The money from iLab, along with a fundraising planned in the coming weeks, will be key to qualifying and demonstrating Exotrail’s Hall Effect Thruster in space, leading to an anticipated first commercial contract in 2019.